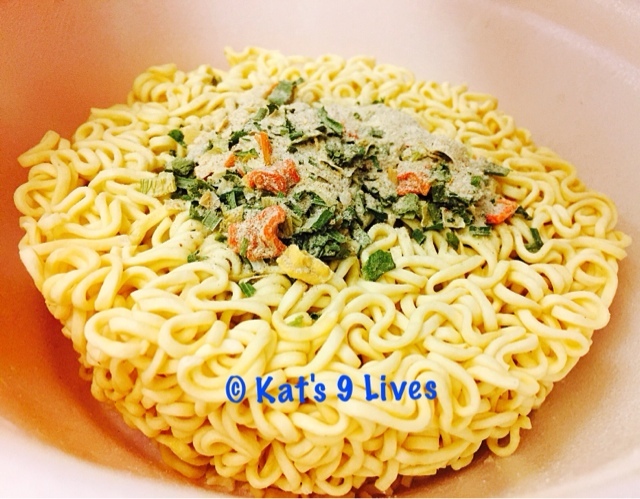 Kat's 9 Lives: Taiwanese Instant Noodles : Yum! Taiwanese Instant Noodles : Yum! 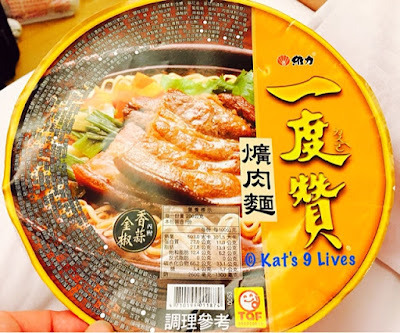 Ms. Lin Guide informed me that the instant noodles sold in Taiwan are much better there than in the US. Being a little skeptical on how instant noodles can be that great, I wanted to satisfy my curiosity. Not that I had any extra meals left to eat some instant noodles, nor did I have a kitchen to do so... I still made sure to grab one! We decided to grab one in a bowl for convenience. Luckily our hotel room provided a hot water boiler. We chose one at random and this package looked pretty tasty. It was a pork flavored instant noodle that comes with real packaged pork, which is something the US does not offer. Supposedly the instant noodles in Taiwan are to die for... and they were right! We made this bowl in our hotel room and had it for a 'breakfast' snack before starting the day. The flavor was on point and the meat was tasty. I don't know if I can ever have the ones we sell in the US anymore. Having meat pre-packaged sounded weird but cool at the same time. 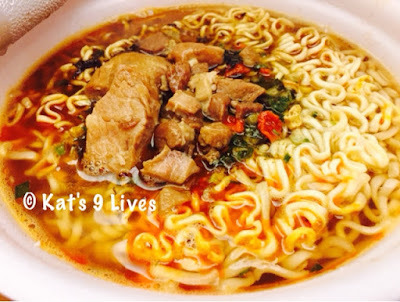 I am sure it probably couldn't pass the FDA standards, but they really should sell these kind of instant noodles here! No wonder people from Taiwan bring these with them when they travel. I would too! In fact, Ms. Lin Guide and I brought two small packs for the plane ride back. The food on United Airlines was so bad that we had to pre-plan for the trip back home and I bet the others on the plane were jealous!